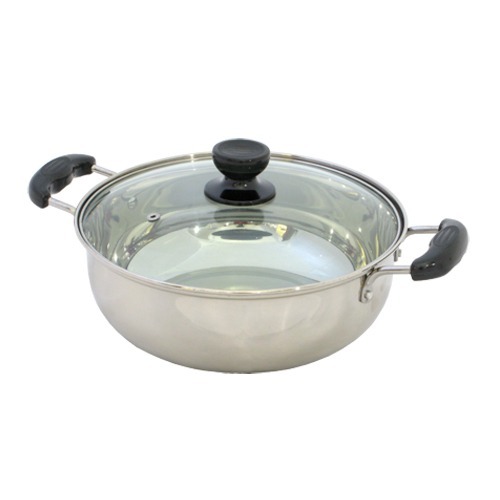 Minimum quantity for "28 cm Stainless Steel Steamboat" is 1. Steamboat or hot pot are very popular in singapore, malaysia and china. in japan , the adaptation of the chinese hot pot is called shabu shabu. in thailand it might be called as thai suki or sukiyaki. Steamboat or Hotpot is a great way of eating with family and friends! Foods often include thinly sliced meats, seafood, vegetables and seafood or meat dumplings. Food may be served with dipping sauces. Whilst it takes time for preparation, this is a sociable and fun way to share a meal with family and friends that can be enjoyed at a leisurely pace through the course of an evening, especially on winter time!